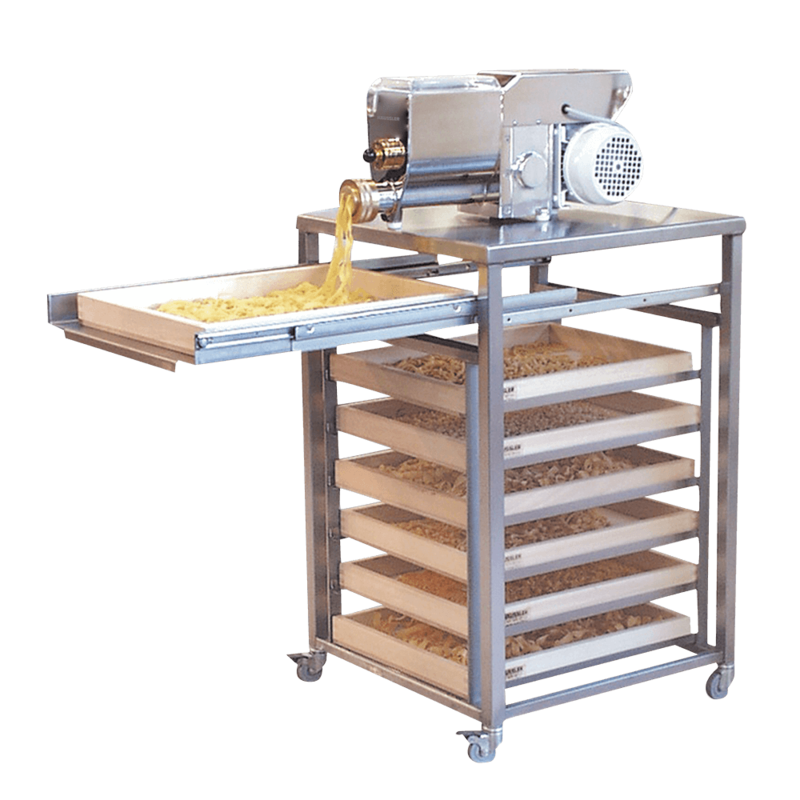 Practical and space-saving solution to making and drying pasta/ The cart is manufactured completely from stainless steel and mounted on castors and provides space for 7 40 x 50 cm pasta racks as well as for your pasta machine and accessories. When making pasta, the fresh past falls directly onto the racks. Included are the stainless steel pasta rack car, PN 100 pasta maker and 7 wooden pasta racks (40 x 50 cm).